What is a Musculoskeletal Disorder? Below is a list of common MSD terms and definitions, designed to be a quick reference. It is important that you and your workforce have an understanding of common MSDs, as well as their signs, symptoms and risk factors. 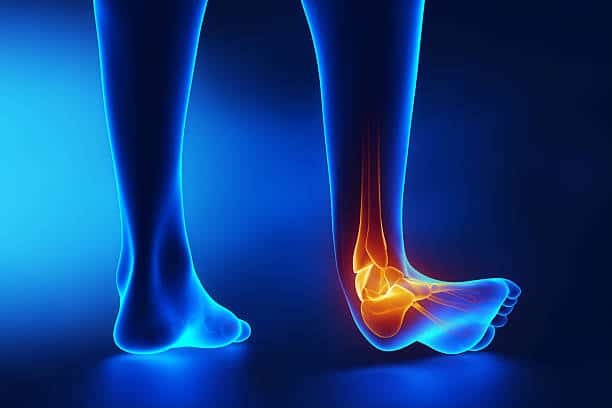 Sprain: A sprain is an injury to a ligament (tissue that connects two or more bones at a joint), disc, tendon (tissue which connects muscle to bone) or other connective tissue. With a sprain, one or more of these fibers are stretched or torn. Strain: A strain is an injury to a muscle. With a strain, a muscle is stretched or torn. Soft Tissue Injury: A soft tissue injury is the damage of muscles, ligaments and/or tendons. Common soft-tissue injuries generally occur from a sprain, strain or trauma (impact, motor vehicle accident), resulting from contusion, overuse or hyperextension of a particular part of the body. Soft tissue injuries often result in pain, swelling, bruising and loss of function. Cumulative Trauma Disorder (CTD): Cumulative – occurring gradually over a period of days, weeks, months or years; Trauma – bodily injury to nerves, tissues, discs, tendons or joints; Disorder – physical aliment or abnormal condition. Back Disorders: The back is involved in almost every movement that we make. With so many vulnerable structures, it is easy to see why back injuries are so common. Statistically, four out of five adults experience symptoms of back pain at least once in their lifetime, approximately 1 every 15 years. The good news is that most back disorders may be prevented by incorporating: proper nutrition, adequate rest/sleep, good hydration, core exercise, and proper biomechanics into one’s daily routine, at work and at home. Awareness, education, training, learning new skills and replacing old habits with new ones, are all key elements for the prevention of back disorders. Neck Disorders: The neck is capable of wide and varied ranges of motion. This flexibility comes with a price. 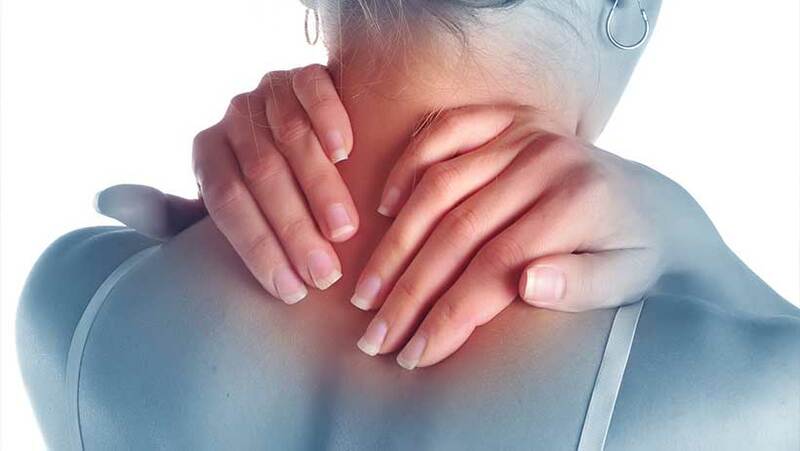 The neck is also more vulnerable to: aches and pains as well as degenerative changes which often lead to other related painful conditions, such as Carpal Tunnel Syndrome. Shoulder Disorders: The shoulder joint is capable of a wider and more varied range of motion than any other joint in the body. This flexibility makes it more at risk however, as the shoulder is also one of the most unstable joints. This is due to the fact that it is connected to the rest of the body via soft tissues, only. Dislocation, separation, and repetitive injuries are: common, very painful, and take a significant amount of time (if ever), to heal. Elbow Disorders: The elbow joint is formed by three bones: the humerus, radius, and ulna. It is an example of a hinge joint, or a joint which moves in only one direction. Elbow injuries may occur with material handling, repetitive stress from computing and the pressure from contact stress with armrests, consoles, desk edges, etc. 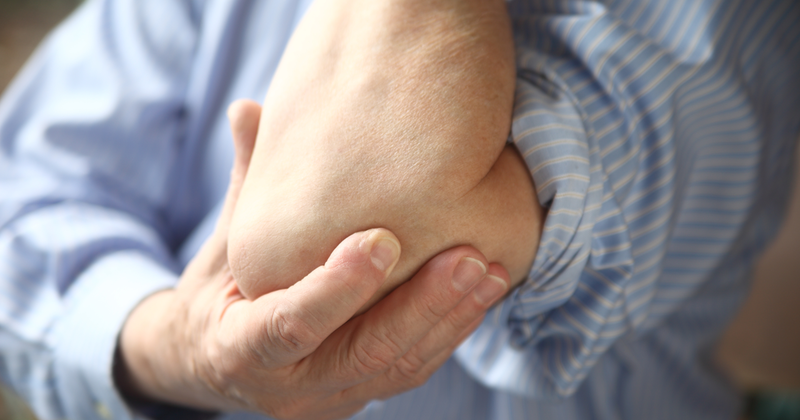 Sprains, strains, fractures, dislocations, and bursitis are common causes of elbow pain. Wrist & Hand Disorders: The wrists and hands are small yet complex joints. Because they are used constantly, the risk of injury is high. Also, as we age, the joints of our wrists and fingers may become affected by arthritis. Disorders such as Carpal Tunnel Syndrome often begin in the neck as a result of poor postures. Knee Disorders: Most people are surprised to learn that the knee is the largest joint in the body. Unfortunately, it is also extremely susceptible to injury. Most knee injuries occur from material handling tasks such as twisting and rotational stress as well as from the impacts of: entering and exiting vehicles, trucks, and forklifts. Arthritis also commonly affects the bones of the knee joint as we age. Hip Disorders: The hip is a ball-and-socket joint. The hip is a sturdy joint surrounded by the strong muscles of the thighs and buttocks. Though not as common as in other areas of the body, hip injuries generally result from wear & tear and overuse. Ankle & Foot Disorders: As shock absorbers, our feet cushion up to one million pounds of pressure during one hour of strenuous exercise. They also bear up to 1.5 times your bodyweight during walking and running activities. The ankle bone and the ends of the two lower leg bones form the ankle joint, which is stabilized and supported by three groups of ligaments. These structures are at an increased risk of injury during activities such as: material handling, lifting, twisting, uneven terrains, as well as getting into and out of vehicles or forklifts. Even the choice of footwear significantly impacts the potential for an ankle injury. Aging Work Force: As we age, we are more susceptible to certain conditions, injuries, and disorders. Cumulative stress and trauma add up over our lifetimes, plus we lose flexibility and strength as we get older. Our balance becomes more unsteady and therefore the risk of falls and MSD trauma increases. Bone weakness also places aging workers and the elderly at greater risk for broken bones or fractures. Maintaining an active lifestyle may help to reduce the disorders associated with aging. Arthritis: Painful inflammation and stiffness of the joints. Tendonitis: Inflammation or irritation of a tendon (tissue that connects muscle to bone). Carpal Tunnel Syndrome: Irritation of the median nerve which causes tingling and numbness of the thumb, index, and middle fingers. Click here to learn about MSD signs, symptoms and risk factors.